One compartment with approxmiately a 120 lb capacity. Heavy duty impact resistant, durabe poly construction with UV protection will withstand temperatures to 40 below zero with out breaking. 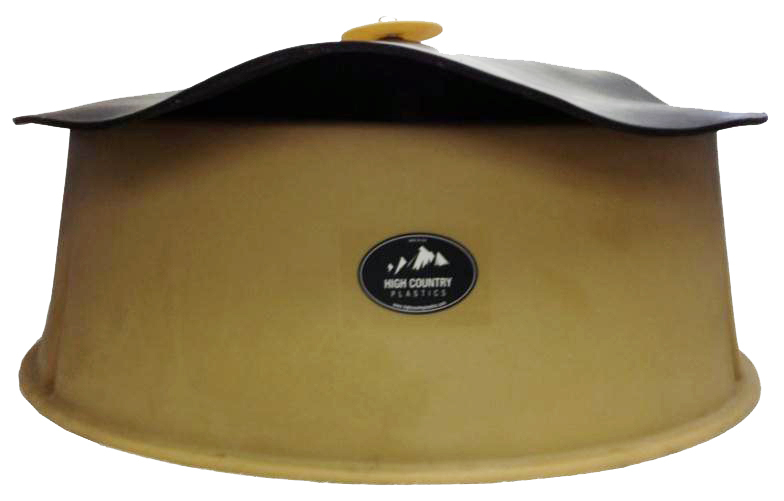 3/4" thick, reinforced rubber mat is built to withstand the elements and keep minerals dry. All hardware is stainless steel to prevent rusting. Quick detatch top allows the rubber mat to easily be removed for speeding up the filling process.